Great opportunity to purchase one of North Central Corridors rare 1+ acre lot Northview Avenue homes. A beautiful red brick ranch style with wonderful long covered front porch.Updated in 2001 – Open great room / kitchen concept with high-ceiling and floor to ceiling wall of windows/doors looking out to expansive backyard, pool, covered patio, pool/guest house.Granite kitchen counters, Subzero refrig/frzr and Viking range.Hardwood floors, French pavers, custom base boards and crown molding throughout.4 ensuite bedrooms .Den with fireplace, granite counter wet bar and built in cabinets.Formal dining room off of entry with large bay window.Large circular driveway for plenty of parking. Directions: From 7th Ave and Glendale. Head North on 7th Ave then turn east onto Northview Ave. Proceed East until you get to 522 on the North Side of the road. Approximate size: 45093.00 sq. ft. 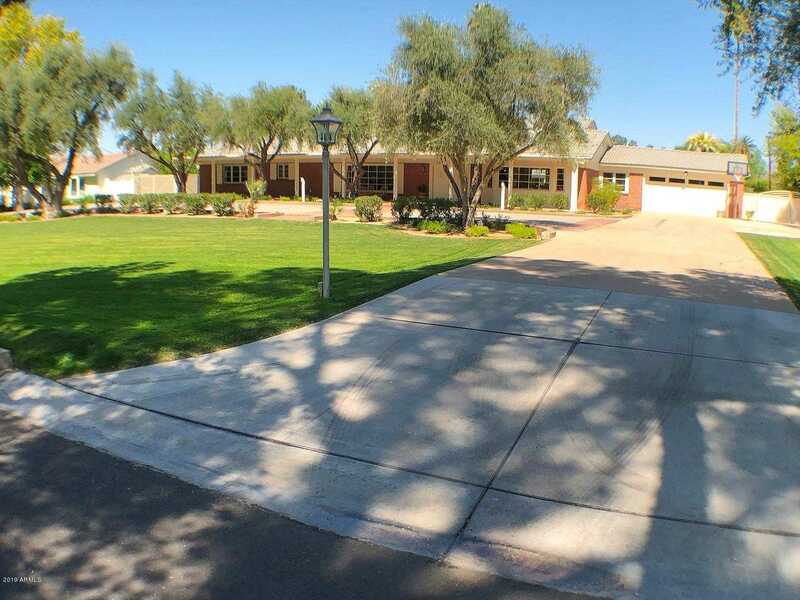 Please, send me more information on this property: MLS# 5911324 – $1,625,000 – 522 W Northview Avenue, Phoenix, AZ 85021. I would like to schedule a showing appointment for this property: MLS# 5911324 – $1,625,000 – 522 W Northview Avenue, Phoenix, AZ 85021.